1. Prepare pudding following directions on package. 2. Spoon pudding into tart shells, until 3/4 full. 4. Tint frosting dough coloured with several drops yellow food colouring and cocoa powder. 5. Spoon frosting into piping bag. 6. 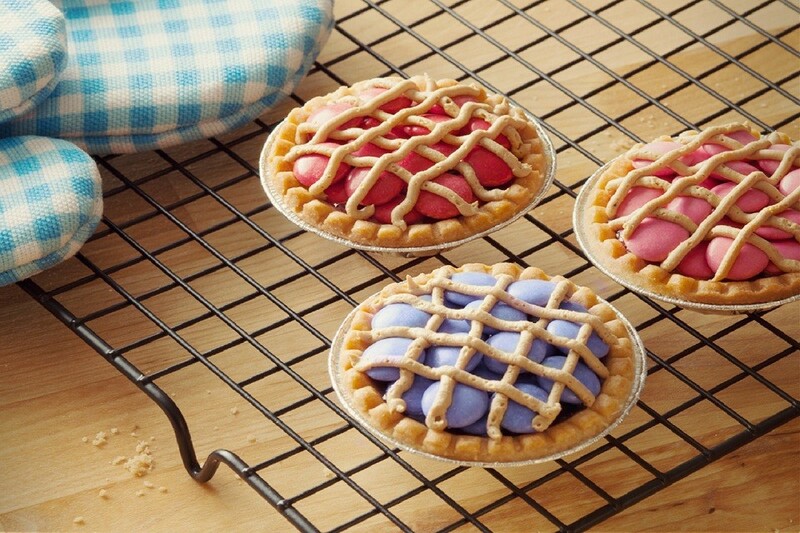 Create the lattice "crust" by piping crisscrossing lines on top of the tarts, about 1/2 inch apart.